Imagine that you are in a remote location looking up at the sky and all you can see are stars. You start to realize how expansive and limitless the universe really is. As a decision maker at your company, you know that marketing and advertising are necessary to some degree and can do wonders for brand awareness. But, it can be a tricky game to figure out which basket you should put your marketing dollars. The following blog series will touch on 3 reasons why you can’t go wrong with an Affiliate Program. Affiliate Marketing provides a great opportunity to increase brand exposure. When an Affiliate partner agrees to promote your brand, company, or product, you instantly tap into their entire network of readers. The blogger has built trust and authority with these readers over time and as a result, he or she has an incredible influence on their purchase behavior. In order to win over of new customers via an Affiliate, you must first win the battle of gaining attention from the Affiliate! 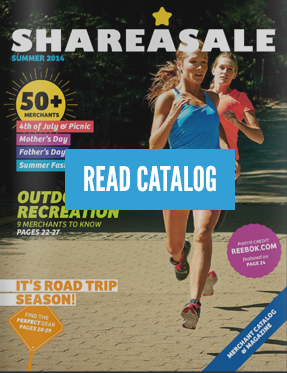 A Network like ShareASale, with Affiliates in over 39 different verticals including Pets, Home Décor, Food, Fitness, Fashion and more, can help you do this in a scalable and organized fashion. In addition to organic applications that flow in upon going live on ShareASale, you can boost exposure with one of our seven “Featured Program” placement options. These placements are strategically located around the Affiliate Interface. When Affiliates log in to check their statistics, payments, or reports, they are greeted with custom banner ads showcasing Merchant programs with whom they may be interested in forming a partnership. We also have our quarterly catalog. This publication is an excellent way to have your brand featured to thousands of potential customers and Affiliates. The catalog is featured at the conferences we attend; we promote it heavily on social media and we have a large subscriber mailing list as well. The best thing about this opportunity is that it is at no cost to you! If interested, please contact our marketing team at shareasale(at)shareasale.com for more information. Stay tuned for PART II of this series! ShareASale’s Client Services team now offers a full training course called Guided Launch. We identified a need for one-on-one training tailored to the individual Affiliate Manager’s experience, the maturity of their program and strategic goals. From here, Guided Launch was born! 5 Tips for Better Call to Actions Call to Action (CTA) Buttons are found in numerous locations all over the internet including emails, newsletters, blog posts and web pages. The goal of the CTA button is to get the reader to take immediate action.